A healthy and balanced approach to eating is crucial to keeping a professional hockey player fueled-up and properly nourished over the course of a grueling 82-game season. But getting your fruits and veggies isn’t just something that athletes focus on. A well-rounded and healthy diet is important for all people, especially school-aged children who are growing, developing and learning. Building healthy habits when it comes to food is something that, if started at a young age, will benefit a person over their entire life. 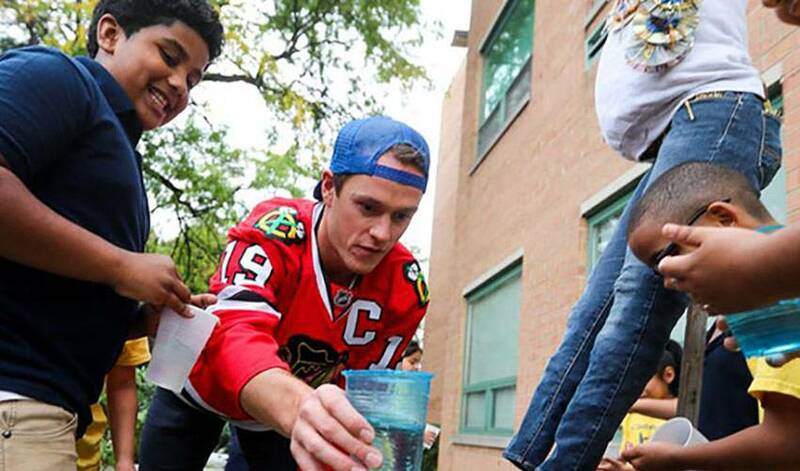 With this in mind, Jonathan Toews has partnered with The Kitchen Community, an organization that seeks to help kids increase their preference for nutritious foods, develop healthier responses to stress, and improve their academic performance. This is done through the development of learning gardens at schools, encouraging kids to participate in growing, cultivating, harvesting and eating nutritious and healthy foods. Toews recently posted a call-to-action video through his Twitter account, highlighting the work of The Kitchen Community and announcing a raffle in support of the group.